Happy Thanksgiving! This is the second beer to skip this holiday season. Check out Festie for the first, which I published this morning. There will be a third later this afternoon as well. Stick around, or subscribe via email or a feed in the right column. This is good advice! If you missed it earlier, you should also not pay attention to "today" type time references. 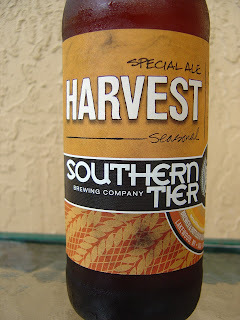 Today I'm drinking Southern Tier Harvest Special Ale brewed by Southern Tier Brewing Company in Lakewood, New York. 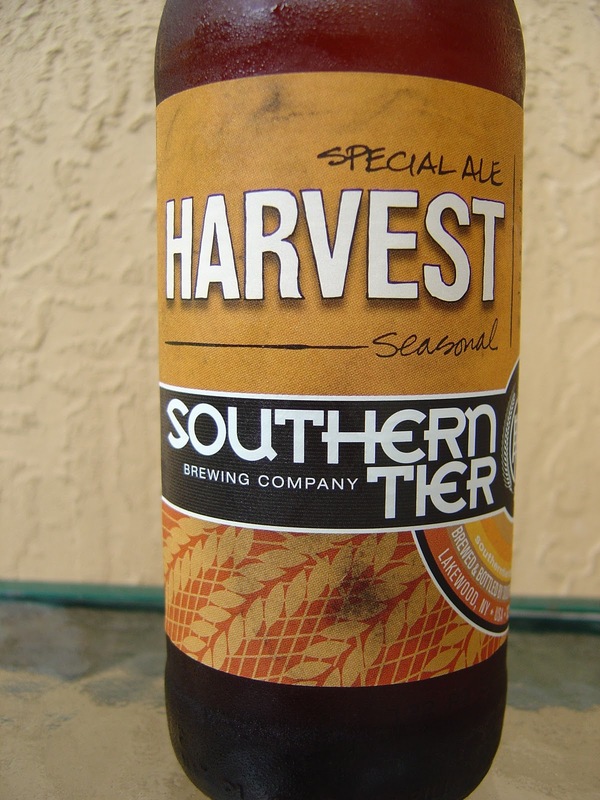 This is their fall seasonal. The aroma is quite bitter with grapefruit and pine, yet fruity too. Hoppy bitter start, yet there is a sweet answer right away. A bit like drinking flowers, if you can use your imagination. Citrus is paired with bread and tea, not bad initial flavors. But after a few sips you will start tasting some dirty and medicinal flavors. There is also one other flavor that I can't quite put my tongue on, but it's very persistent. All I can think of is that it is like chewing on the green parts of some plants. Dry finish. Good carbonation. 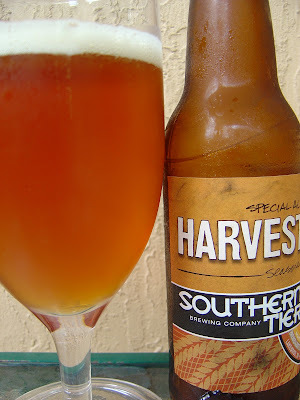 Not the most horrible beer ever, and there are glimpses of good flavors, but I can't get past those bad aspects. Pass! Charlie Brown Christmas Tree - 18"